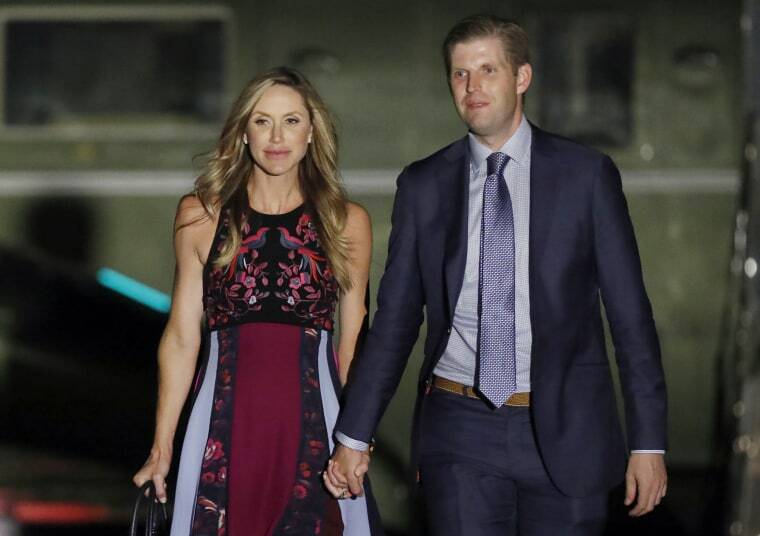 Eric Trump, the president's son, and Eric's wife, Lara, welcomed their son, Eric "Luke" Trump, on Tuesday. The Trump Organization announced the birth on Twitter. The president congratulated his son and daughter-in-law on Twitter after the announcement. White House Press Secretary Sarah Huckabee Sanders noted Luke's birth at Tuesday's news briefing, saying, "We're all looking forward to meeting him soon." Eric Trump and his brother Don Jr. were forceful advocates for their father on the campaign trail and have remained in New York to run the family business. Lara Trump was also a frequent campaign presence and has been working on the president's re-election efforts.